If staying in shape were easy then there would be no reason to pick up the weight and start exercising. Here is a roundup of exercises get it done right. Finding good exercise to lose weight can be difficult to say the least. When your most fitness resources throw in everything and the kitchen sink who has time to sort through workout libraries just to get started exercising quick? Exercise and weight loss ideas shouldn't have to be that difficult. What is the best exercise to lose weight for women? The best exercise for losing weight is not what you think it is. More important than worrying about what type of exercises you can do to burn calories and tone down your body restoring your womanly figure, find what works for you first. When you are trying to lose when sometimes the biggest motivator is finding something you can do right away and do it. That means being able to workout without going to the gym. It's easy than you think. In this daily roundup of Slism, we list a few exercise routines previously discussed in past articles with tips to get you started on the right track getting your fitness plans hammered down concrete. Walking is an exercise that never gets old. Not only does it help get you in the fat burning zone faster than higher intensity workout, it allows you to multitask which make a great exercise to keep in mind when you are on the go. If a relaxing walking in the park or around the track at your local gym doesn't do it for you, there is always water walking there for you to help you get in shape without swimming. 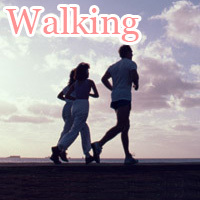 No matter what type of walking exercise you choose to do, there are always health benefits you can count on. Just remember the secret is keeping it up. Jogging is great if you are looking to get a cardiovascular workout without the stress that running puts on your body, respiratory system and joints. 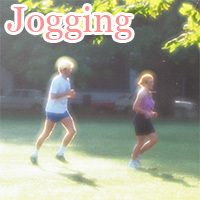 It also makes a great aerobic workout given that you don't lose your cool keeping your heart rate at the right pace. 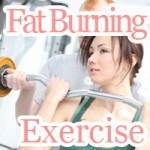 If you are not sure which is better for burning fat jogging or walking, don't worry. What's most important is that you start off slow gradually making advances in your exercise program. Getting in shape is not a race. That is to say the best pace is your pace. Take your time and surely results with make surface on your body. Stability balls make a great tool when you want to start into core training. 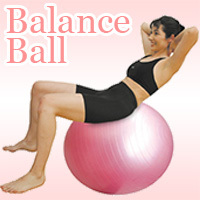 Whether you want to sit on a balance ball at work or pull one out when you are sitting at home watching the television, you are doing your body a good deal in terms of revitalizing your lifelong health. Lately, everyone in the office is doing it! That is bringing their balance balls to work. I don't know about you but there has got to be other exercise you can do at work and not get embarrassed. Note that sitting on an exercise ball is not going to help you lose weight. Develop a routine using balanced ball and make it happen. 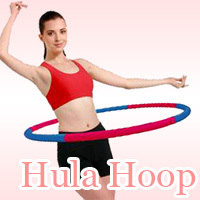 Hula hooping makes a great exercise if you are concerned your hips and the area around your waist. Not many people know this but picking up a hula hoop is one of the most affordable workout routines that you can do that actually works. Not everyone still has the hula hoop their parents bought for them when they were in elementary school. If you are one of these people, then here are some hip circling exercises to slim down your waist. Stop worrying about your weight. Taking up hula hoping will help your get rid of that muffin top. If it doesn't at least you can say you tried. 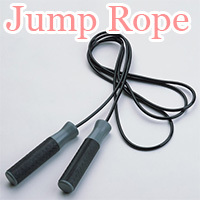 Jumping rope is not limited to professional boxers. Despite your physical condition there is a jump rope routine right for you. All you need to get started is a jump rope and the rest is going to be the best cardiovascular exercise while you have the time of your life. So maybe jumping rope isn't your bread and butter. That's okay because there are more aerobic exercises to choose from when thinking about workout ideas that are going to make a difference in weight loss. Jump rope your way into fitness and there are no limits to how high you can soar above and beyond in your diet and exercise program. Climbing steps is a great exercise if you want to workout your legs, get in the fat burning zone, and build muscular strength boosting your metabolism. Whether you are at the office or the comfort of your own home stair climbing exercise provides you with a way to stay in shape. Not many people realize the opportunity to exercise is not limited to the gym. Exercising around the house is easy as long as your pay attention to the obstacles in your home that are going to make a great workout. Stair climbing is fine in all but what about hard to get to places like your upper arms above your triceps. What you soon find out is that there are ways to clean up your act doing just about anything like chair exercises. Tube exercise such as resistance band training does wonders for building strength into your muscles without putting on unnecessary bulk. When you want to boost your metabolism resistant bands is the way to go not to mention portable allowing you to take it with you. 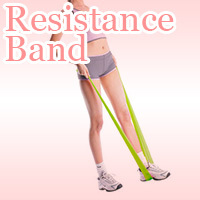 Resistance band exercise is not limited to training your arms. Exercise tubes can be used help train the inner muscles of your hips for preventing bow legs and knock knees from ruining your figure. When you are looking for a great way to train yourself on the go or even add a little resistance to your stretching routine then tube exercise is one way you can get it done. Indoor cycling, aerobiking, and trail riding all have something in common. They are great all great workout for your legs. On days when you don't want to have anything to do with the great outdoors hopping on a bike makes a good way to get exercise inside saving your skin. Bikes were made to be ridden outside. Here are some tips to get back on the trail again taking cycling to no heights in exercise performance, ways you can get a better fat burning workout. With the installment of the newest exercise bike equipment in your local gym it pays to be a member. Most bikes are now equipped with calorie tracking giving a detailed summary of your workout that helps y9ou keep track of it all. Water aerobics also known as aqua aerobics takes pool free swim time to a new level of exercise. Whether you are a part of a group fitness class, you are going to love moving in the water helping your get aerobic exercise without the risk of hurting yourself during exercise. Aerobic exercise may not be what you want if you already have problems with your knees. 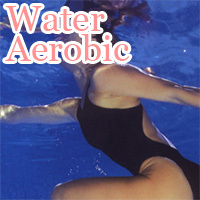 Take up aqua aerobics to get aerobic exercise in water. Join a gym. Take a class. No matter what you do don't stop moving. If you enjoy getting wet in the pool and are looking for a new way to lose weight exercising, then don't miss out on water aerobics. 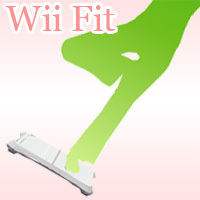 Getting in shape has never been easier than turning on your Wii and letting it spin. There is no longer any need to get away from your television set just to get more exercise so you can make it out without piling on calories everyday causing your weight to shoot up the roof. Everyone is different. What you do may not work for others. On the other hand if you want to get fit on the couch then there is hope just yet. 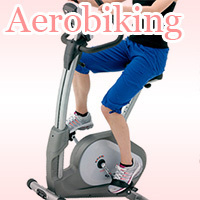 With an endless number of ways you can exercise from your living room without any special equipment you are set. It just goes to show that there is more than one way to get in shape. What's important is finding what's right for you. Go at your own pace and exercise on your time. You are in charge. 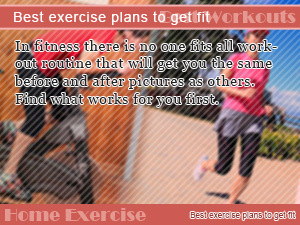 In fitness there is no one fits all workout routine that will get you the same before and after pictures as others. Find what works for you first. 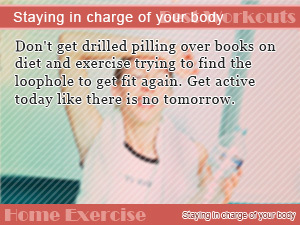 Don't get drilled pilling over books on diet and exercise trying to find the loophole to get fit again. Get active today like there is no tomorrow. Not everybody has time to put in 2-3 hours of exercise at the gym trying to make their next finals appearance. Exercise is time wasted done wrong.